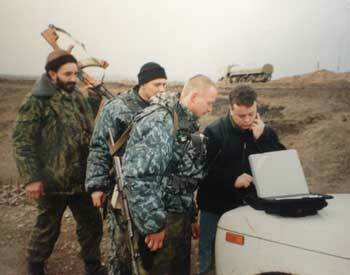 Running large teams of journalists in the field during breaking and on-going news stories, often in hostile environments such as Kosovo, Chechnya or Afghanistan. Kevin has regularly been in charge of 30 or more people, often as many as 80. In this role he has been responsible for editorial coverage, financial management and logistical deployments, running the operation in the field and providing the main link with assignment and programme editors at BBC headquarters in London. The role is central in developing both on-the-day coverage along with next-day and long-term deployment planning. Immediately following the terrorist attacks in New York and Washington in September 2001, Kevin was sent to Tajikistan to oversee the BBC’s operation in Northern Afghanistan. This included bringing in a satellite dish through a Russian military base and across the Amu Darya River in sight of Taliban artillery; setting up a broadcast and accommodation facility and arranging for security and quartermaster provision. Kevin was in charge of preparations for the funeral of Nelson Mandela in the Eastern Cape, South Africa and oversaw the broadcast operation the BBC set up in a field opposite the funeral location in December 2013. With no facilities to hand, Kevin arranged for camper vans to be used as TV and Radio studios and edit suites, a broadcast platform and catering facilities as well as accommodation for over 50 staff. Kevin has run the BBC News operation at major football tournaments since 1998 when he planned and ran coverage throughout France for the newly formed BBC News 24. He was in charge of the coverage of the England Team in Japan 2002, Portugal 2004, Germany 2006 and Brazil 2014.